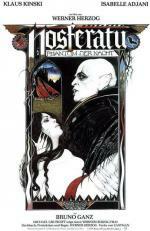 “Werner Herzog's Nosferatu nicely blends its director's sensibility with that of its inspiration. Klaus Kinski steps in for Max Schreck as the ghoulish Count Dracula, who journeys from Transylvania to the German hometown of Bruno Ganz and Isabelle Adjani. Werner Herzog's grand theme has long been the quixotic struggle of heroically deluded humans against the implacable powers of the natural world. 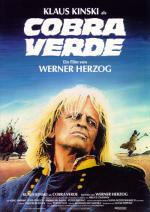 In Cobra Verde, that unmanageable force of nature is undoubtedly Klaus Kinski. 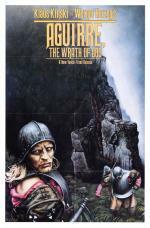 Werner Herzog’s mad masterpiece from 1972 still has its hallucinatory charge. 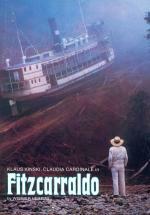 Its star, Klaus Kinski, terrorised his fellow cast and crew, and in its own way ‘Aguirre’ has become cinema legend (director Herzog says the only way he could keep Kinski on the set after one outburst was to threaten to shoot them both). Made for buttons, it’s an awesome feat of filmmaking.